Rumors suggest Apple is now making a research lab in France dedicated to the iPhone camera sensor, but it may be the team is focused on a revolutionary feature for the iPhone shooter. French newspaper Le Dauphiné Libéré shared details of the a new lab in Grenoble, France that will employ 30 engineers on an 800 square meter site. Apple is rumored to be working in collaboration with engineers from STMicroelectronics, who produce the gyroscope and accelerometer used inside the Apple Watch. That company also produced the pico projector for the Lenovo Smart Case smartphone - could this be what Apple is interested in? The Lenovo Smart Cast concept phone used projector technology to offer up a full gesture support on any surface, meaning you could put a keyboard down on your kitchen table and type on it. 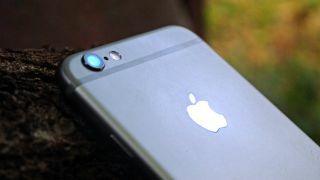 Apple patents in the past have suggested the company is keen to look into projection camera tech in its phones. Apple may have set up the separate research lab to improve the camera sensor for traditional camera work, but considering the French lab is so far away from Apple's normal operations it could be for a specific reason. An iPhone with a projector built in could be an interesting step for the iPhone 7S. Being able to project your apps directly onto any surface in your home would certainly offer up an innovative reason to upgrade your iPhone.